Ryoichi doesn’t know what he wants to do with his life. A very viable option is dumped into his lap when his parents disappear without warning one day. While he’s pondering his next step, a woman from his father’s past, Chidori Yuki, approaches him and decides to help out the young man. “I own a traditional Japanese restaurant,” she tells him. “Come and work for me, and you can learn to be a chef.” Having nothing much better to do, Ryoichi can hardly refuse her offer, so he goes along for the ride, although he’s a little uncertain that cooking is his destiny. Things quickly become more complicated when he arrives and meets the rest of the family! Chidori introduces him to her three beautiful daughters, who all work as waitresses in her restaurant. “Get to know my daughters,” Chidori instructs him. It turns out her plan is to have him choose one daughter to marry and eventually take over the restaurant as Head Chef! What’s more, the girls are all actively competing for Ryoichi’s love, bending over backwards to make him fall for them. Considering he’s never had a girlfriend before, he’s really in for some interesting times. Talk about pressure! All day, he is surrounded by Chidori and her three beautiful daughters, as well as another girl training to be a Head Hostess. It’s a veritable harem! How will he choose just one? I’m Gonna Serve You 4 Come See Me Tonight 2 Do You Like Horny Bunnies? 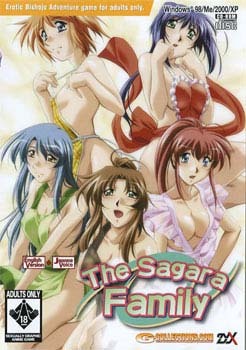 2 The Sagara Family Karakara If You Love Me, Then Say So! Such a great game. What does part 2 have to do with anything? I installed over the other folder. Seems the same no change. I installed the game, but it’s not working. I click in “Execute” and it says “Failed to copy file”. So, did anyone else notice that all the girls are named after birds? To save you press the letter s on your keyboard during gameplay then right click and click on save andwhen the save menu opens click apply apply. When I right click and try to save nothing happens. Can someone help? You have to reinstall the game when this happens. But you can save your saved files during the reinstall process. I just want to say, thank you,admin. I used Winzip to extract the files to a folder. When I double clicked the KONY2ML.EXE file to attempt to run it, I got a “Registration is incorrect. Please install again.” message. What should I do? Please help. ‘failed to copy file’ can anyone help? yeah me too! the screen is just like 640 pixel or smoething, help please!!!!!!! -Go to “Adjust Desktop Size and Position”, which is under Display. -Select “Full-Screen” under scaling” and﻿ apply-ok.
uhh filesonic disabled there sharing feature is there any other mirror or place i can get this from? Workin’ on it. Read news for details. good game. not great but good. anyway i am having problems saving. i have right clicked to open menu (pretty easy to work out, a few older games are like that)but when i click on save it doesn’t actually save. i clicked apply after selecting a number to save to and then save but nothing saved. i been through 2 routes and after finishing the second playthrough, all the cg and scenes from 1st playthough where gone. the heck is that . . ?? I also had the problem with everything turning black and the game not working! But after restarting my computer and giving it another try it finaly worked. Oh, and to save you have to right click. I hope this could help with some of the problems. Oh and i forgot to mention that this only works with the “KONYAUST.exe”! thank god i’m not the only one getting this problem. can somebody tell us what we’re doing wrong? did something download incorrectly, or what? I got same Problem here Please do help! Tried installing it as admin in a different folder. It still fails to copy. The file downloaded just fine for me, and played with only a slight hesitation during the scene switches. I’m using win 7 x64 and it seems to work just fine. It DOES need to run in admin mode though. 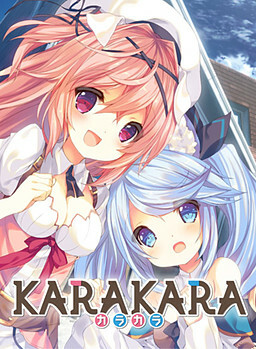 All in all a fairly standard eroge. Decent art, but nothing special, H scenes are nothing to write home about. The story is a bit simplistic, and I never really got any emotional responses to any of the paths, though it wasn’t cliched enough to make me want to stop playing. No irritating voices though, which is always a plus in my book. I enjoyed it enough to clear all the paths, but will be unlikely to ever look at it again. I’d give it a 2 of 5. This vn is about 10 hours long plus it even fully voiced but the file size is only 317 MB. There’s must be something wrong with the file. The game used to run just fine. I stopped playing for about a year then I start to have the exact same problem. Black screen, it stopped responding, desktop resolution went to 640p, and my taskbar’s gone. I never done any major changes to my system so i wonder what went wrong. I get the game to install all and good, start it up and it stops responding when trying to load the opening piece. “Mirror #2” is usually fileserve. When game is single file to download i’m using different template, since multipart one won’t look good. You have to install it as administrator for the install to work. That is what I had to do to make the installation successful. I seem to have gotten the game to install, but it crashes every time I try to start it… I’ve been having the same issue with a few of the other games that were recently added. Is anyone else having this issue or knows the fix for it? I had to re-install the game (minimum)on my C:\ drive (windows)drive before I could play it. anyone else had this problem? I’m currently uploading all older games that were missing from the site. Expect many classics to be posted within next few days.